It seems like you can’t browse the web without being assaulted with ads for the latest Battle Royale games, and that fun has released on cell phones and tablets with the release of Fortnite and PUBG Mobile. While Fortnite is currently an invite-only release and limited to iPhone, PUBG Mobile works on a wide range of devices that ensures pretty much anyone can get in on the action. Here’s a list of PUBG Mobile compatible phones so you can see if your device makes the cut. The PUBG Mobile compatible phones running Android is an incredibly long list. With well over 500 devices capable of allowing you to take to the battlefield and have fun with friends, an exhaustive compilation of the phones would be a little overkill. It’s safe to say that if you’re running at least a mid-range device, you should have a PUBG Mobile compatible phone on your hands. With that said, the developers do provide a list of some specifications your device has to meet – which should give you a pretty good sense of whether your handset is capable of playing the game with a cursory search. Essentially, as long as your phone runs Android 5.1.1 or later and has at least 2 GB of RAM, you should be good to go. As mentioned above, the number of Android PUBG Mobile compatible phones is over 500 devices long, so as long as you meet the system requirements mentioned above, just download the app and get started on your battle to be the last man (or woman) standing in this addictive online Battle Royale arena. With that said, the more high-end your phone, the better it will perform as one of the PUBG Mobile compatible phones. If you’re in the market for a new device and are specifically looking to play PUBG with the best experience, opting for a high-end flagship from a major provider like Samsung or Google will likely give you the best experience. However, there is no need to rush out and purchase a high-end phone, as 2 GB of RAM has become pretty standard as far as mid-range phones go – as is Android 5.1.1 or later. 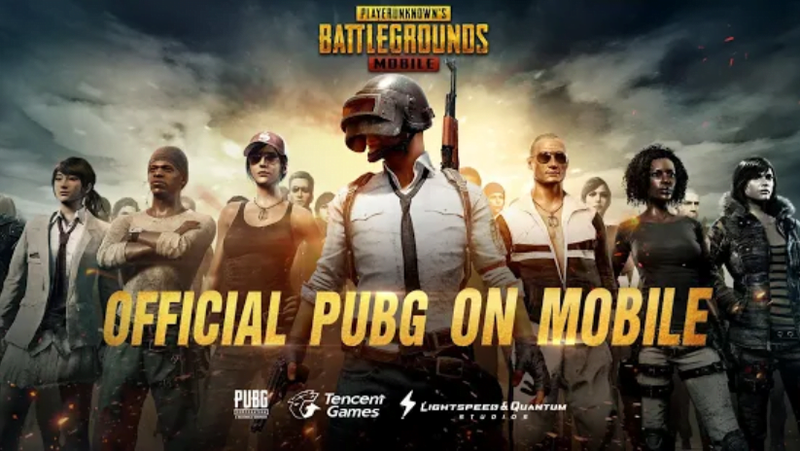 Overall, it appears as if the PUBG Mobile compatible phones encompasses pretty much any device you could think of – making it easier than ever before to battle for that top spot. Just make sure your device meets the specifications above and can install the app, and you should be ready to play. The Apple phone list of compatible phones and tablets is much shorter – which is to be expected considering the devices are released from one company rather than dozens. The following is a list of PUBG Mobile compatible phones. iPhone 5s, 6, 6 Plus, 6s, 6s Plus, SE, 7, 7 Plus, 8, 8 Plus, iPhone X, iPad Air, Air Wi-Fi + Cellular, mini 2, mini 2 Wi-Fi + Cellular, Air 2, Air 2 Wi-Fi + Cellular, mini 3, mini 3 Wi-Fi + Cellular, mini 4, mini 4 Wi-Fi + Cellular, 12.9-inch iPad Pro, 12.9-inch iPad Pro Wi-Fi + Cellular, 9.7-inch iPad Pro, 9.7-inch iPad Pro Wi-Fi + Cellular, iPad (5th & 6th generation), iPad Wi-Fi + Cellular (5th & 6th generation), 12.9-inch iPad Pro (2nd generation), 12.9-inch iPad Pro Wi‑Fi + Cellular (2nd generation), 10.5-inch iPad Pro, 10.5-inch iPad Pro Wi‑Fi + Cellular, and iPod touch (6th generation). It appears as if Apple compatibility extends pretty far back – really driving home how well the game is optimized and its ability to run on outdated technology. As long as you have an iPhone that was released within the last several years, you should be able to run the game just fine. Whether you’re on Android or Apple, the PUBG Mobile compatible phones are in-numerous. While bringing the same excitement we saw with the PC version to a mobile format may be challenging, the developers seem to have passed the test with flying colors and delivered an experience that can be enjoyed by most anyone. This is likely a good business decision, too, as many people around the world – especially in countries outside of the West – don’t have as wide of an access to high-end flagships that costs hundreds and hundreds of dollars. So download the game today and experience one of the hottest game on the market firsthand.